We make amazing quality of Mechanical Engineering lab, and building and civil engineering lab equipment,Electronic testing and measuring equipments which are known for their high accuracy and precision. 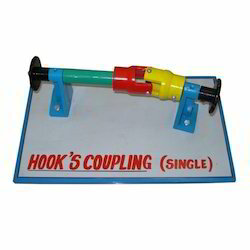 the equipments are made using error free components. We provide them at market leading rates. We are manufacture, supplying & Export a wide range of Engineering Electronic Instruments, and mechanical engineering lab training equipment. 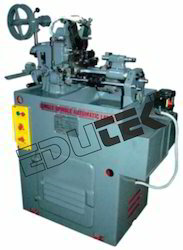 We are manufacturer and Exporter of Lathe Machine . Offered machines can be installed easily and work smoothly. These lathe Machine undergo various tests before delivering the clients in order to ensure their high performance and long service life. Our vendors use the most advanced technology and the finest quality components in the fabrication of these machines. Tailstock taper : T4 Metric tapping 0.1 mm to 14 mm. Mechanically held carbide tools, Clamped insert lathe tools Left-hand offset, Right-hand offset, straight carbide; General-purpose lathe tool-bit with various lake angles (-150 to 00 to +350); Cut-off tools, Thread cutting tools. Knurling tools: A set of tapes (three: Fine, medium and coarse). Functions: Turning, cutting-off, internal and external threads cutting and drilling. Rigidly manufactured from aluminium alloy casting to provide a high degree of accuracy with any frame distorsion under load. 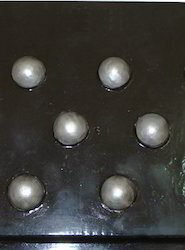 The load bridge group is supported in high accuracy self-aligning seat balls. The beam provides three loading ratio: 9:1 10:1 11:1 and the beam assembly is fitted with an adjustable counterbalance weight. Maximum load: 150 kg of slotted weights. The odeometer accepts cells up to 100 cm. sq. Supplied complete with rod holding the weights and coupling block holding the dial gauge or transducer. Supplied 'without': Consolidation cell, Weights, Dial Gauge (or transducer), holding bench which have to be ordered separately. These CNC Lathe Machine undergo various tests before delivering the clients in order to ensure their high performance and long service life. Our vendors use the most advanced technology and the finest quality components in the fabrication of these machines. 165mm - 3 Jaw S.C. Chuck. The machine is built in grey cast iron base with integrated coolant tank. 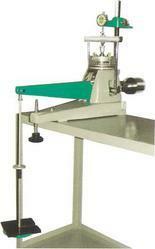 Hydraulic Chuck and manual tailstock, removable chip tray. 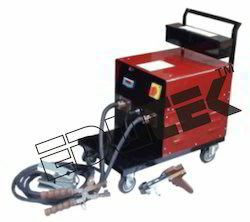 Edutek are manufacturer and Exporter of all type Welding Machine. 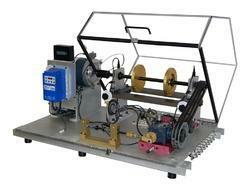 Spot Welding Machine. operated control, minimum capacity 15 KVA. thickness 1.2 + 1.2 mm. Minimum throat depth 250 mm. By mechanism pressing. Having automatic timing control and magnetic control. Tool box with tools 1 set. Unit consists of original but reconditioned components such as master cylinder brake drum complete with brake shoes and brake cylinders, brake pedal and necessary connections. In normal condition the brake drum can be easily rotated by the handle but on pressing the brake pedal, brake fluid in master cylinder is forced in brake cylinders thus expanding the brake shoes and stopping the rotation of drum. Brake drum is sectioned. Finish different colours. 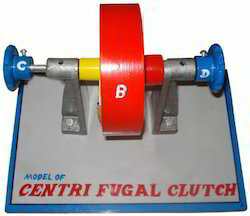 Edutek are leading manufacturer and exporter of Plate Clutch Model, Engineering Models and Mechanism Models For Educational and training. 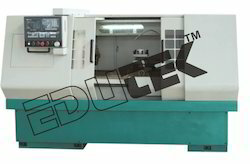 Edutek are leading manufacturer and exporter of Hooks Coupling Model, Engineering Models and Mechanism Models For Educational and training. Riveted Joints Angel Iron & Girder Joints. The apparatus is designed to generate and visualise water hammers in pipes and to demonstrate how a surge chamber works. 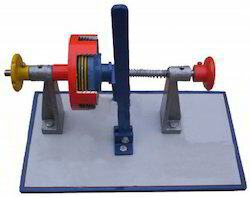 The trainer contains a pipe section with a surge pipe, solenoid valve & ball valve.In the first experiment a pipe surge is produced by rapidly closing the solenoid valve. The sudden deceleration of the water mass releases kinetic energy, which is converted into potential energy in the surge pipe. The resulting pressure oscillations are measured by a pressure sensor in the pipe.The oscillations are plotted on a strip chart recorder. 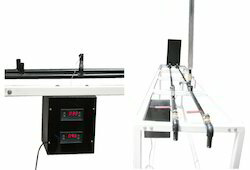 The oscillation can also be seen as pendulum movement of the water level in the surge chamber.In the second experiment the valve at base of surge pipe is closed so that the rapid closing of the solenoid valve in the pipe section produces a strong water hammer. The water's kinetic energy is converted into pressure energy. The water hammer and the subsequent oscillations are detected by the pressure sensor in the pipe section and plotted on the strip chart recorder. Pump: Centrifugal Pump, 230 VAC , Flow 30 LPM, Max. 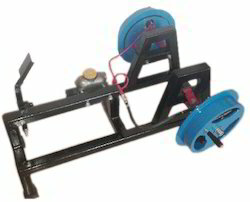 Head 20 m.
LOADING UNIT :Supplied with load yoke with direct and lever system for applying load. Normal stress capacity 8 kg/sq. cm. 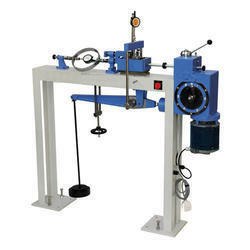 Load is applied either directly or through a counter balanced detachable lever. Provision is made for the load to be applied either through a steel ball recessed in the loading pad or direct through a boss on the pre calibrated loading yoke. 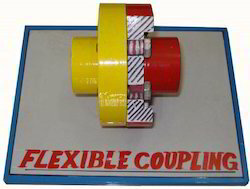 The loading unit is provided with V strips and roller strips for frictionless movement of shear box housing. SHEAR BOX ASSEMBLY :Comprising direct shear box in two halves for a square specimen size 60 x 60 x 25mm one pair of plain gripper plates, One pair of perforated gripper plates, one pair of porous stones, one top of loading pad. To give kg/cm. 0.05,Qty. 4 nos.To give kg/cm. 0.1,Qty. 1 no.To give kg/cm. 0.2,Qty. 1 no.To give kg/cm. 0.5,Qty. 3 nos.To give kg/cm. 1.0,Qty. 1 no. Complete set as above but without proving ring. Net weight 140 kg. OPTIONAL EXTRAS :2 Additional set of weights to give a normal stress of 5 kg/cm . Soil sampler for 60mm x 60mm specimen and test forms pad of 50. SPARES : Porous stone for 60mm x 60mm size sample available in pairs. Unit is electrically operated to give the following 12 rates or strains. 1.25, 0.625, 0.25, 0.125, 0.05, 0.025, 0.01, 0.005, 0.002, 0.001, 0.004 and 0.0002 mm/min. The apparatus is suitable for operation on 230 Volts Single Phase A.C. Supply. The Proving rings are made of special steel carefully forged to give maximum strength and machined to give high sensitivity commensurate with stability ensuring long life and accuracy. All proving rings are integral type viz, the loading (outside) bosses are forged integral with the ring body. This ensures that there is no possibility of abutment shift and consequent loss of accuracy in reading that always exists with bolted abutments. The dial gauge and anvil are mounted on U-brackets clamped to the ring body by set screw. The dial gauge is fitted with a special back cover and threaded bush. 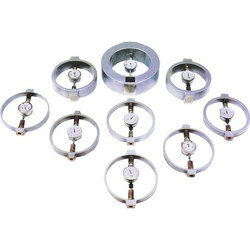 Which does not permit any shift from the original dial alignment, coaxial with the loading boss centres, that is set at the factory before calibration. For all compression proving rings and tension compression proving rings up to and including 5 KN capacity the loading bosses have female threading ½” BSP (16 TPI) The boss faces are ground and polished and are plane parallel to within 0.2mm total DTI run out. Tension compression rings have their integral loading bosses male threaded, 1.25” dia, 8 tpi square thread, 1.25” long. Caps are provided for use when loading in compression Repeatability is as stipulated in IS 4169 The rings are supplied complete with dial gauge and Works calibration Chart. Individuallypacked in polished wooden. Boxes. NCCBM Calibration can also be arranged for any proving ring at an additional cost. Proving rings to meet special requirements are also available on request. Separate polished and ground pair of Loading Pads FOR Compression Proving Rings and Pair of Shackles for Tension Proving Rings are provided to suit each proving ring, at extra cost. The Machinary Fault Stimulator Lite is our basic simulator providing all the tools needed to learn and study balancing, alignment, resonance, bearing defects, crack shafts, fan and mechanical rub. Edutek is manufacturer, exporter & supplier of Pawl & Ratchet Motion Showing intermittent motion of a ratchet wheel.